Slip Rentals - Aero Marina - We Sell Fun! Aero Marina maintains an impressive selection of secure boat slips to keep your craft safe and ready for easy access when you are ready for fun. 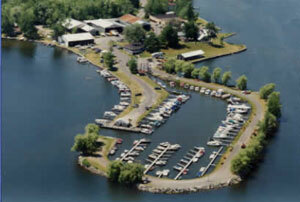 Utility connections available and parking is close to your watercraft. Some of our amenities are listed below. Stop in and take a look around. It won't take long to feel at home in our boating community. Simple, complete and fun. That's the way we like it!